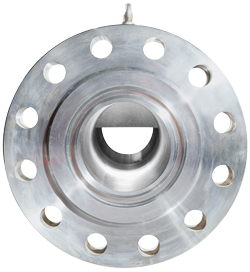 Wedge Meters are used on many different process applications and conditions, especially for slurries, suspended solids or very viscous liquids. Line sizes available range from 25mm up to 800mm and greater. Wedge Meter design provides a key cost saving benefit, as the profile is virtually immune to any wear or erosion, therefore with very little maintenance and inspection required. Wedge Meters can be supplied to meet the requirements of your application. We offer a number of different designs to suit the needs of any pipe-work configuration, with different lengths, orientations and end connections available. Solartron ISA provides complete Engineering support from initial design and sizing concepts to manufactured final products.